Lets face it, video is taking over and it’s taking over fast! While some of us are gifted at making marketing videos, others could definitely use the help! And there is nothing wrong with that! It takes a lot of practice to create a marketing video that will capture the hearts of your customers. 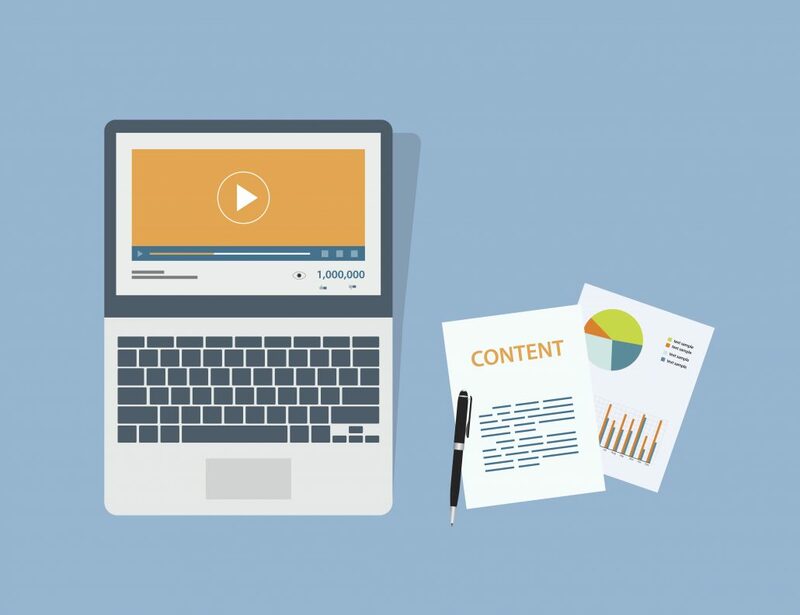 Whether you are seasoned or just beginning, here are five tips that will help you create a successful marketing video for your strategy. The storyboard is like your instruction manual for your video or movie, and will help you make decisions before you start filming so that you can save money and time once production starts. Having a documented storyboard will not only help you keep track of the production and what direction you want to go, but it is also a useful tool to show potential clients as a visual representation of your idea for their video. When you are creating your storyboard, think about the story you want to tell. Sometimes the story that you want to tell isn’t focused on the product itself, but what that product can do for your audience. Always try to focus on the most important story about your product to draw your audience in. To help keep your video interesting, use b-roll interspersed with your main footage to break up long scenes or narration footage. This will make your scenes more interesting, and give you options to be more visually descriptive. For example; for your main reel features a spokesperson explaining features of the product, and by cutting in b-roll footage that shows a close-up of those features or the product in action, you can break up the long narration scene and give a visual descriptor that makes it more exciting. One thing that holds many videos back from being great is a lack of music or poor sound quality. A car chase scene may be exciting to see on screen by itself, but it will really come to life with a tense soundtrack and well recorded car sounds. Most cameras do not have high quality sound recording built in so make sure that you have an audio solution like a handheld audio recorder available to get audio that will bring more dimension to your video. Keep your video as short as you can while still telling your whole story, a video that rambles and over-explains will miss the mark on your audience. A concise video will better keep the attention of your audience which will result in more excitement around your product.